Julie was awarded a Tyne & Wear Sport coaching bursary to assist with her British canoeing Level 2 coach award. She has also attended our talent coach CPD programme and is a member of our female coaching network. 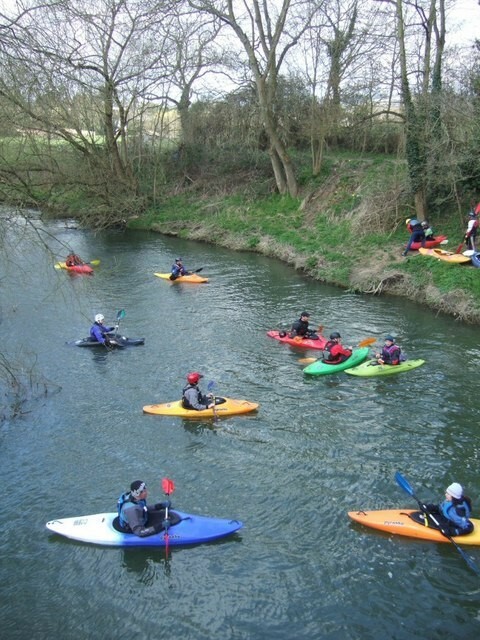 What’s your coaching/volunteer role UKCC/British Canoeing Level 2, Paddlesports Coach dual discipline (kayak & open canoe) with stand up paddleboarding and paddleability. Tell us about your background I hale from an inner city deprived area on the West of Scotland. Not the usual starting ground for outdoor sports! Sailing and outdoor activities showed me a different Scotland and I was hooked. Best thing about being a coach/volunteer Opening the door for people who would like to get into sport but can’t get in. Watching people become competent and seeing them take off and being a positive part of their journey. Who’s your role model or inspiration Pippa Funnell. Pippa changed the rule book on what an equestrian athlete was supposed to be and bravely showed us the mental game (that no one ever spoke about) and how to overcome it. Have you faced or overcome any barriers in relation to your coaching I am like a rabbit in the headlights on assessments! I am cool with the river judging me, but human assessors unsettle me. But I have worked out if I prepare and chip away at stuff, I have less to worry about on the day and can focus better. Advice to other coaches/volunteers looking to get started A willing attitude and smile goes a long way. Your people skills are as important, if not more so than knowledge and technical excellence. Don't wait until you're "good enough", just start sharing your enthusiasm and support. Get stuck in! The rest can be developed along the way.